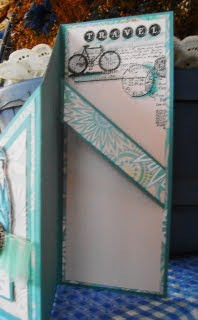 Vada's Blog Stamp Inks and Paper : Fancy Folds Tall Accordion Card. 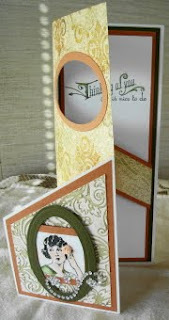 From the new CD, “Fancy Folds & Motion Cards. First, I would like to encourage everyone to look into this beautiful CD from Pat Huntoon, and if you do not have a copy by now, you can order one from Pat’s web site at The Technique Trail. I have three cards here today, and the first card is by the instructions on the CD, the next two are my version of the instructions. 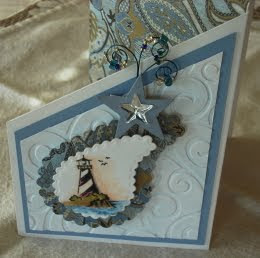 Card number one: Stamps used are from TAC and the Paper Company. 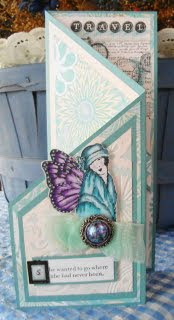 I just love this little image from TAC, and if you would like to order it, you can do so here. My second card is also a money holder and the stamp credits are; Inkadinkado and Hero Arts. 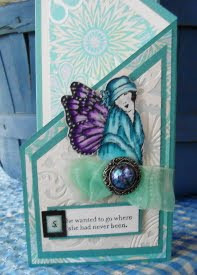 And for the last card; Stamp credits are Hero Arts and Crafty Secrets. Your cards are great. I especially like the ones with the window. I have started (finally) working on some of the projects. 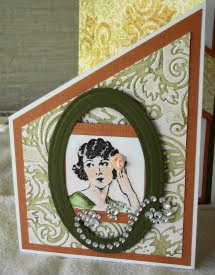 Vada my dear, you are amazing with the beauty and detials you put into every card! Love all three! Vada these cards are beautifully unique! wonderful! those are wonderful! 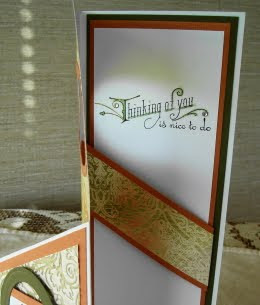 I love a fancy fold and they look so elegant! Gorgeous Vada! I'm going to give this a try today! Thanks for the inspiration! WOW Ms. V! These are gorgeous! You only need to put $20.00 in mine! Oh how LOVELY they are, especially your special take on the folding technique! Just love the window! WOW these are just great! I keep looking at them trying to figure out which one I like the best!